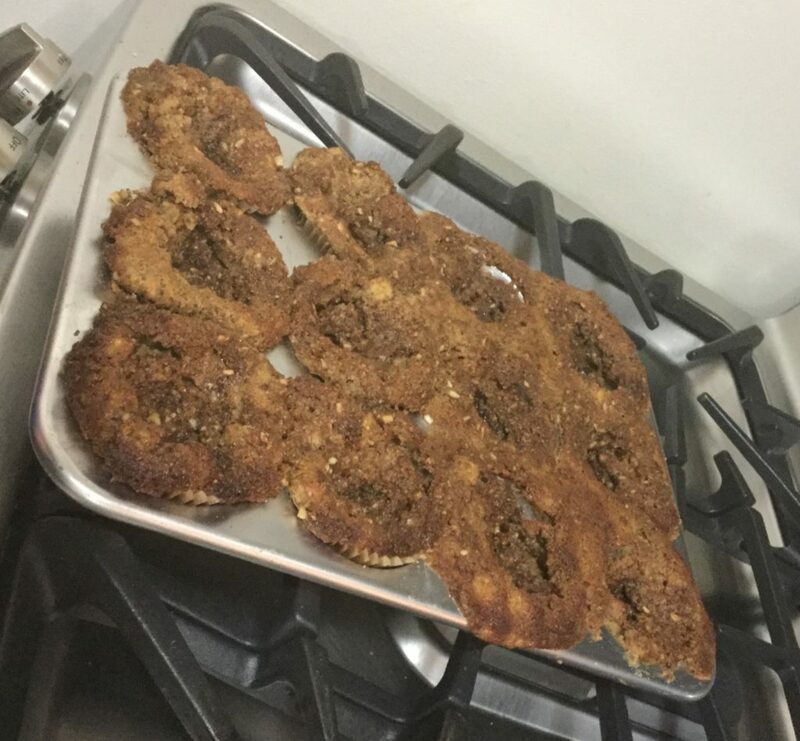 Here lies our beloved Apple Crumb Cake Muffins. Survived by: apple peels and almond flour. Time of death: 8:22 p.m. It was a beautiful October evening. Three girls were in the kitchen, hoping to whip up something sweet and healthy, feeling inspired by Fall flavors. All was going well, until what seemed like one simple swap turned their visions of crumb cake muffins into a spooky disaster. We want to share this recipe anyway (along with the fixes!) so you can avoid the mistakes we made, and get right to the yum. Extra large glass of wine. Combine ingredients in a bowl and set aside. Combine brown sugar, flour and cinnamon in a medium bowl. Cut the butter in using a pastry tool (or fork). Mix until coarse and crumbly. Set aside. 1. Pre-heat oven to 400°F. 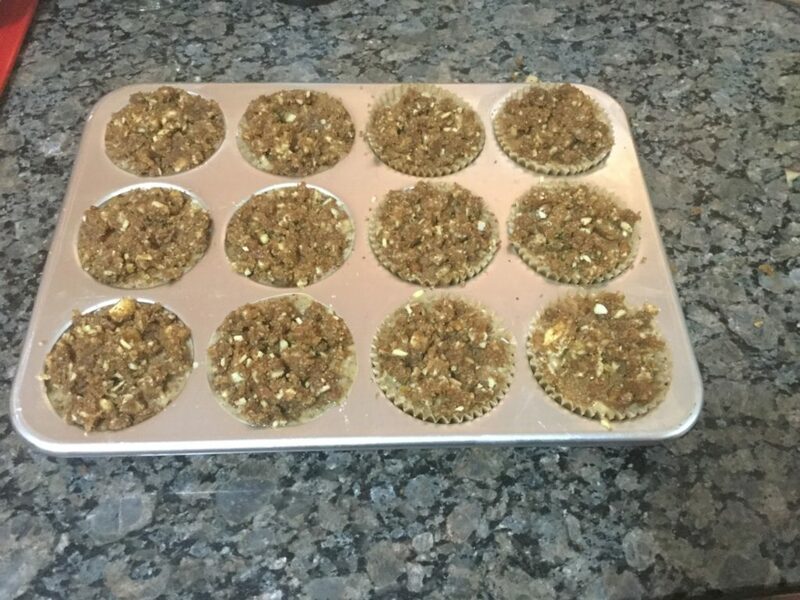 Line a standard-sized muffin pan with large muffin papers and set aside. 2. In a large bowl, combine the flour, baking powder, salt and brown sugar. 3. In a separate bowl, beat egg, and add in the milk and vegetable oil. Mix the wet ingredients into the dry with a spoon, mixing until just combined. Do not overmix! 5. Spoon 1 tablespoon of muffin batter into the bottom of each muffin paper. Sprinkle a teaspoon of cinnamon sugar mixture on each, then top with remaining batter. Spread a heaping spoonful of the crumble topping on top. 6. Bake for 18-22 minutes, until a toothpick comes out clean. And this is where it all went wrong for us. After 19 minutes, we checked the muffins with a fork, and the centers were still completely uncooked. After another five minutes, we were still in full on muffin mayhem. After a quick google search, we learned that the almond flour was the culprit. (It can be used in place of all purpose flour, but needs an extra egg or binding agent in order for the muffins to set.) Rookie mistake. We put forth our best efforts to make a healthy swap, but sometimes, this is just the way the crumb cake crumbles. R.I.P. 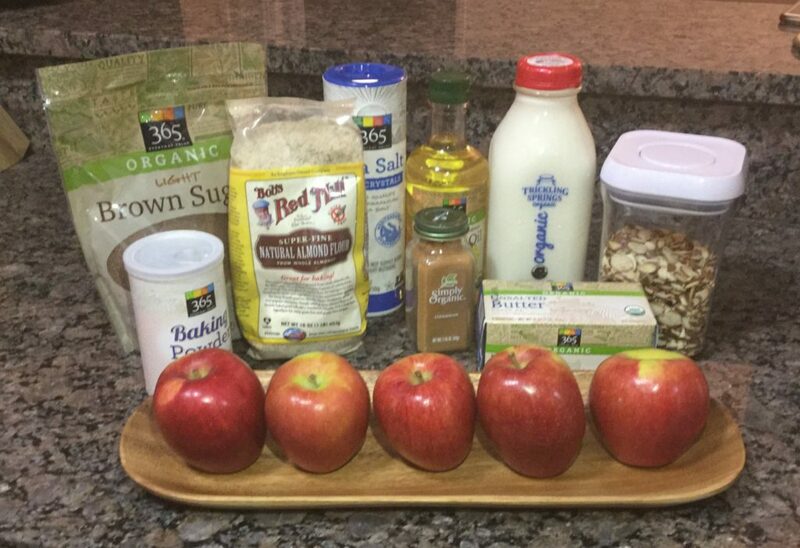 Apple Crumb Cake Muffins.